We need to obey the rules. Romans 13:1 teaches believers to “be subject to the governing authorities. For there is no authority except from God, and those that exist have been instituted by God.” It is hard to imagine how God could allow people like this Pharaoh to rise to power, but He is sovereign and nothing happens without God either authoring or allowing it. But even though we are supposed to obey the rulers placed as authorities in our lives, sometimes those leaders will command us to do something that is in opposition to God’s Word. In those cases we are to obey God instead of man. The way things are going in this country it may one day be illegal to attend church, read the Bible, or, like with the apostles, preach in the name of Jesus. It may soon become against the law to call homosexuality a sin. What are Christians supposed to do in those cases? We must obey God rather than man. 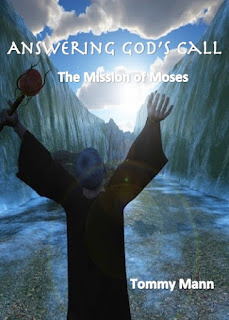 This doesn’t mean that we should be pushy, arrogant, or obnoxious, but we must not cower and cave; we need to determine now that if there is a conflict between man’s law and God’s law, we will obey God. Believers today may feel their temperature rise as they engage in a conversation about Kim Davis, the Bible, or religious freedom today. We should not cower, but neither should we be pushy, obnoxious, or arrogant. While we disagree, remember to do so in love, for we never want to win the argument and lose the person. We are in uncharted waters in this country. We have two groups whose rights have put them on a collision course with each other, and instead of protecting both groups, the solution seems to be to prosecute one and champion the other. The First Amendment to the Constitution guarantees the freedom of religion in this country, but it does so much more than that. Freedom of religion is more than just the freedom to go to church or own a Bible. Freedom of religion does us no good without her sister, the free exercise of religion. This means that, not only are we free to go to church and read the Bible, we are free to live out the principles that the church and the Bible teach. The teachings of Scripture are not to be confined to inside the four walls of the church or the home, but they are meant to be freely lived out in our places of work, schooling, and communities. These teachings make up a worldview that governs the daily actions of the Christian. They are not one part of the Christian—they form the Christian. To ask a Christian to check his Christianity at the door when he enters the office, the grocery store, or the restaurant is impossible. And illegal. That is why the founding fathers gave us the First Amendment. Atheists are never asked to leave their atheism at home. They get to carry their atheistic worldview with them wherever they go. They have the right to be practicing atheists, even if it bothers practicing Christians, because they enjoy the same First Amendment rights Christians enjoy. While the groups may disagree, they can coexist. That is the beauty of freedom. Whether you like it or not, this country was established upon a freedom of religious expression. Beginning this summer, five members of the Supreme Court ruled that homosexuals have a Constitutional right to marry each other. Whether you like it or not, they have been given the same rights to marriage that heterosexuals enjoy. So here we are on a collision course of Constitutional rights. The Court says gay marriage is the law, so no one can refuse to bake a cake for their wedding, supply flowers for their reception, or affix their name and seal of approval to their marriage license. But that same Court has two centuries worth of precedent protecting the rights of the other group, the people of Judeo-Christian faith. Whenever an organization of godlessness has tried to shut down or shut up people of religious beliefs, the Courts have sided with faith. But not any longer. The bakery owners are being fined, the florists driven out of business, and a clerk now incarcerated. These are not actions indicative of the United States of America, that great beacon of hope and freedom; these are instead the actions reserved for dictators of oppressive regimes that squash freedom and silence opposition. 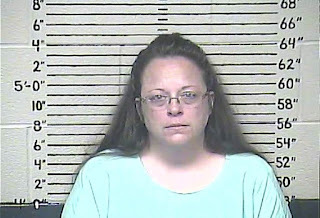 Lexington County Clerk of the Court Kim Davis is behind bars indefinitely. She will be released once she agrees to violate her deeply held religious beliefs. If that story emerged from Castro’s Cuba we would not be surprised. We should all be alarmed that it is happening here. We are now seeing a government that destroys its detractors. One group is clearly being victimized by the Federal Government. What about the other group? Your tax dollars paid to wash the White House in gay pride rainbow colors. If they hoisted the Christian Flag above the Capitol we would hear cries about the mythical separation of church and state. Why should Washington pick sides in this issue? Instead of picking a winner and condemning a loser, we need a compromise that protects both groups. If the Courts want to give homosexuals the right to marry, they need to do so only while also protecting people of faith. There have to be religious exemptions for people of faith. If one baker refuses to bake a cake, there are plenty of other bakeries. There are six deputy clerks in Kim Davis’ office, five of which agreed to issue licenses to homosexuals (the one who refused is Davis’ son). We need to live and let live. Instead of trying to ruin those who live differently than we do, we need to cohabitate in this great, diverse, free country in which we are blessed to call home. We are on a collision course. Unless someone intervenes there is going to be a devastating crash. Before you use the Bible to try to criticize Kim Davis, there are a few things you should know. The Bible doesn’t work like a game of Scrabble; you can’t take random letters and words and use them to suit your current needs. So here are some responses to some of the critics I have seen over the last few days. 1. 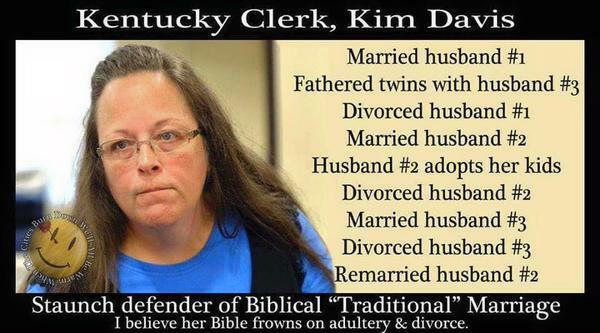 Yes, Kim Davis has been married four times, divorced three times, and had children out of wedlock. By her own admission she has made many mistakes, but the aforementioned indiscretions were committed before she came to Christ four years ago. The Bible speaks strongly against divorce (although some divorces are justified) and premarital and extramarital relations. But it teaches that when a person turns to Jesus, he becomes a “new creation; the old things have passed away, and behold, all things are made new (2 Corinthians 5:17).” Using her mistakes from her life without Christ to call her a hypocrite is inconsistent. Furthermore, like I said in my post about Josh Duggar and Bristol Palin, we all make mistakes, and Kim Davis will continue to as well. That doesn’t make her a hypocrite; it makes her a human. Even if she were the biggest hypocrite on the planet, that doesn’t somehow nullify her position. Calling her names and demonizing her may make her look foolish, but her point is still valid: she should not have to resign or violate her religious beliefs. 2. 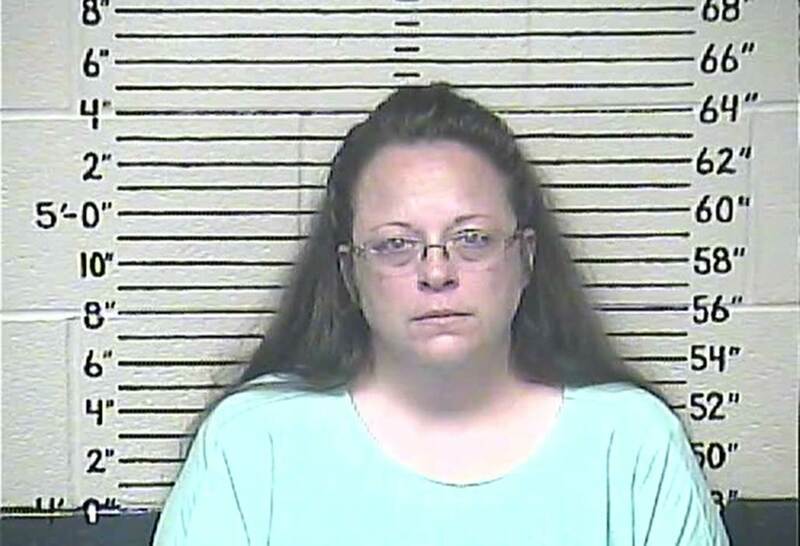 Has Kim Davis issued marriage licenses to people with tattoos, mixed fabric, and shaved beards? Of course. But again, this doesn’t make her a hypocrite if you understand the Bible. The commands about tattoos, mixed fabric, and a host of other things appear as part of the Old Covenant, which was only given to a certain group of people for a certain time in history. Kim Davis is not a Jew in the Promised Land; she is a gentile in America living under the New Covenant, and therefore, she can freely unite people in marriage who have tattoos. (For more on this, see my post titled, “Yes, I Eat Shellfish”). 3. I’ve seen many people throwing out Romans 13 and other passages that instruct Christians to both pray for and submit to those in authority. Davis should definitely do that. But we are shortsighted if we cling to that verse to the exclusion of the biblical precedent to obey God rather than government if the government orders us to do something unbiblical (Acts 5:29). Kim can pray for and submit to government, but when government orders her to violate, not only her First Amendment right, but more importantly, her religious convictions, the Bible suggests obeying God instead of government. I realize this debate will continue to play out in America, but if we are going to use the Bible, let’s at least agree to use it the right way. If you want to criticize Kim Davis, don’t do it by taking verses out of context. And if you do criticize, please remember that name calling doesn’t improve your position nor weaken the other side.